Leukemias are a group of diseases characterized by an abnormal proliferation of white blood cells. 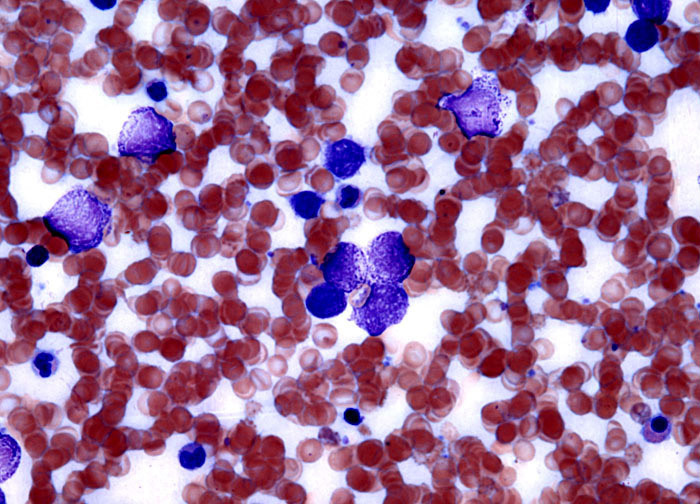 Acute and chronic leukemias are differentiated by the maturity level of the cells they affect. Acute forms affect immature cells, hindering them from completing their development, and chronic forms involve atypical mature cells. Leukemias are generally further differentiated by the type of white blood cells they are connected with. Myelogenous leukemias are diseases involving granulocytes andmonocytes. Acute myelomonocytic leukemia is a distinct type of myelogenous leukemia as established by the French American British (FAB) classification system.